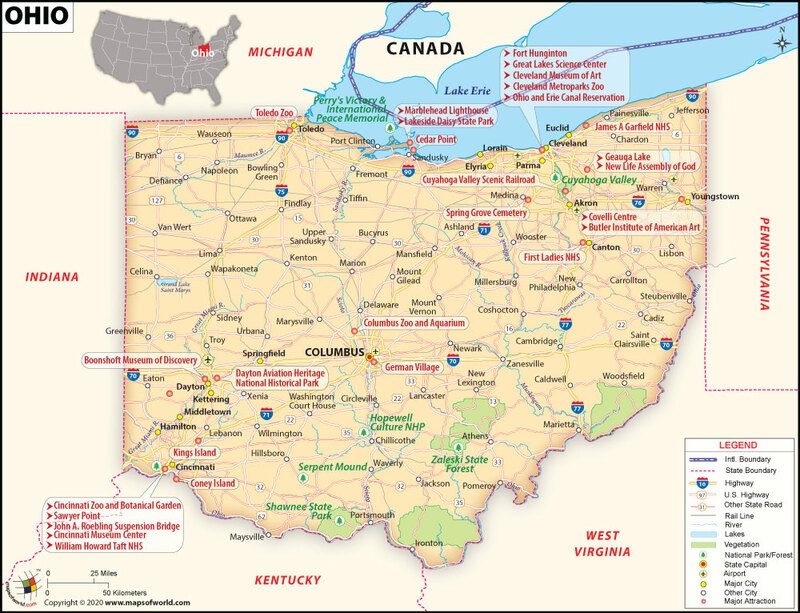 Viw All Ohio County Maps..
Ohio is a state located in the Midwestern United States and is the 7th most populous State of USA. The capital of Ohio is Columbus. Ohio is a Midwestern state of the United States, which shares borders with Pennsylvania, Michigan, Indiana, Kentucky, West Virginia, and the Canadian province of Ontario. Ohio has about 312 miles (502 kilometers) of coastline along Lake Erie to the north. 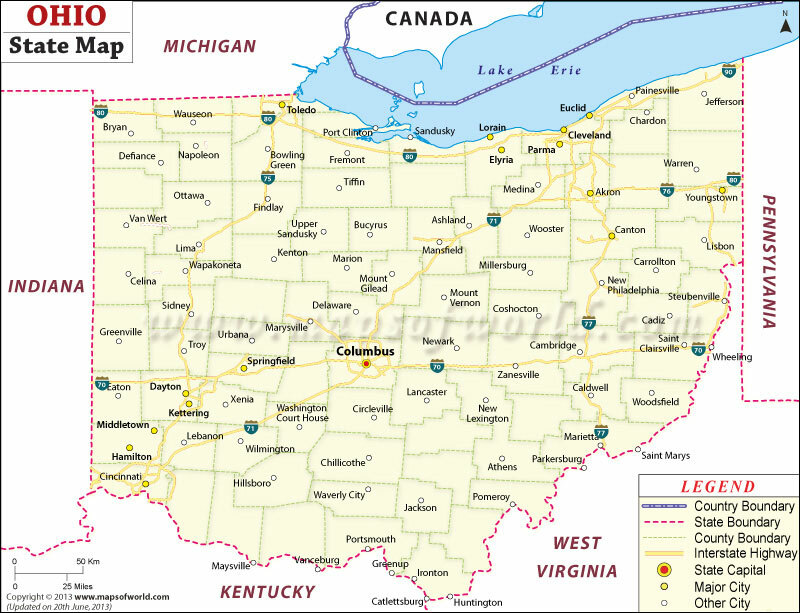 Ohio has an area of about 44,825 square miles (116,096 square kilometers). Ohio has a population of about 11.6 million, making it the seventh most populous state in the country. The capital of Ohio is Columbus, but its largest metropolitan areas are those of Cleveland and Cincinnati. Ohio was the seventeenth state to join the Union, and was admitted on March 1, 1803. Prior to this, Ohio had been inhabited by Native American tribes of the Iroquois Confederation and others. The region that is now Ohio became part of the Northwest Territory in 1787, and later was carved out as the state of Ohio. Politically, Ohio is an important state for its status as a bellwether and a swing state, which give it extra weight in elections.